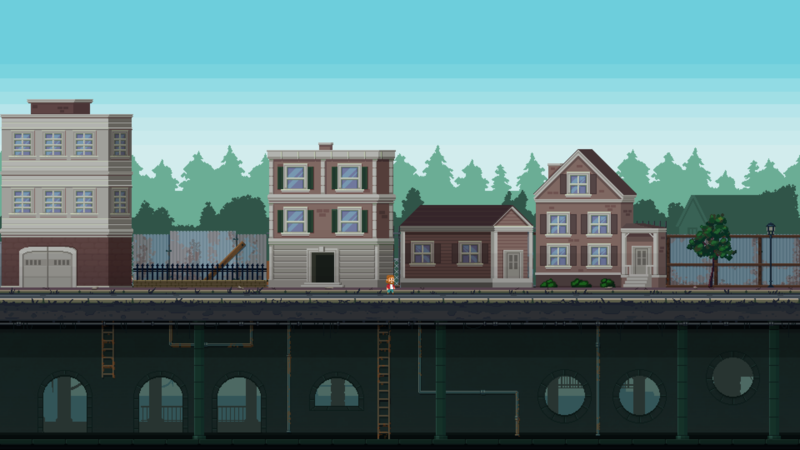 Here's the first sneak peek of Landflix's 5th and final world! The Standing Zombies World will be divided into 3 main locations. The first one is the one you can see up above, Virginia's roads. The second one is the city of Alexandria, where lots of zombies will be ready to ambush you, together with the gang members of the "Slavers". 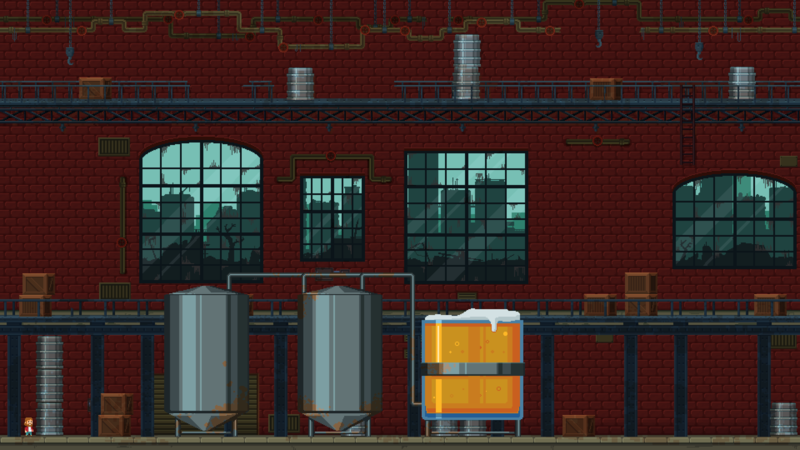 The last one, the place where the final boss battle will take place, is the beer factory. This is the secret base of the "Slavers", and is the place where Landflix's evil CEO is hiding. 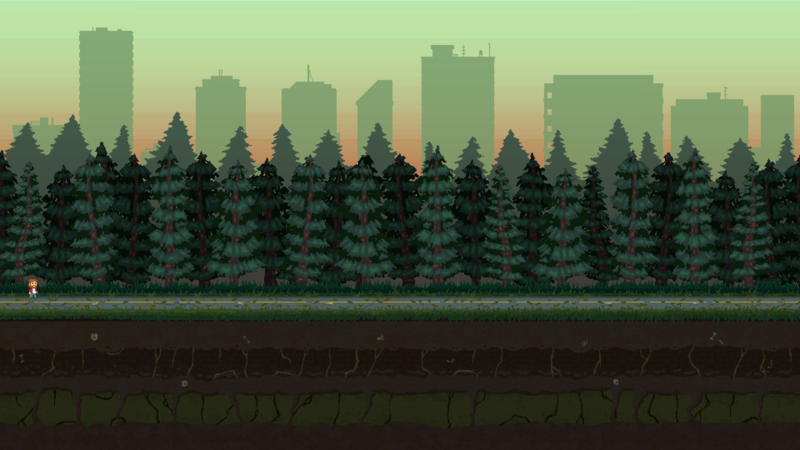 In one of the levels Larry will be running from the "Slavers" helicopter. While following you this chopper will deploy gang members to take care of Larry. While running from the chopper Larry will be standing on top of a running schoolbus. Here he'll have to fight off the "Slavers" while surviving waves of enemies with the help of his crossbow. Here's a look at the world's enemies. We think both the zombies and the "Slavers" look really cool! This world's mid-boss, Blackie, is inspired by The Walking Dead's Dwight. While riding his bike he'll be shooting at you with his crossbow, and you'll have to fight him off while zombies keep coming at you. 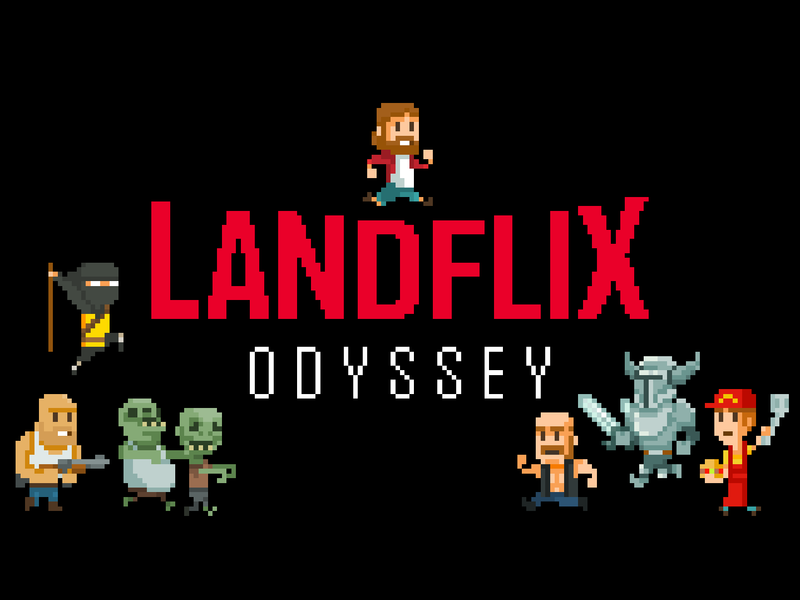 In the last level you'll finally find Landflix's CEO, but you won't be fighting him, as he always avoids direct confrontation. This is actually the one you'll be fighting. The AKLER is Landflix's CEO's deadliest creation. The fight will be fierce and Larry will need to have nerves of steel to fight off this monster! So what's your thoughts on Landflix's 5th and final world and bosses? Let us know!